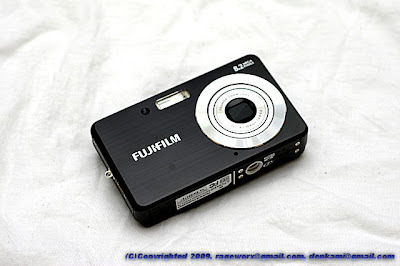 Today, I bought new digital camera for instead of carrying DSLR. I always carrying a DSLR, Pentax *istDS, that is not too much heavy but not light to carrying many stuffs like iPod touch 2nd gen., Pocket books, Idea notes, Pencil case, Glass case and more. Payed 178,000won at HomePlus market electric part. 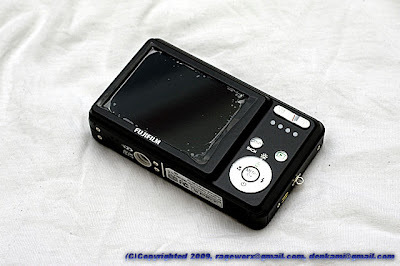 Most of small digital cameras are above at last 200,000 won even it is not good stuff. 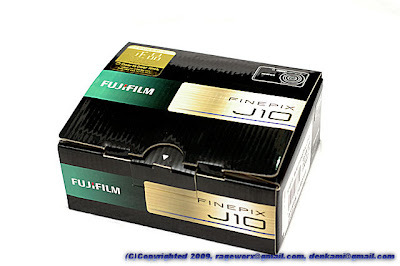 Fujifilm Finepix J10 was released about 1 years ago. and it is targeted to below middle price. Sure I know it hasn't functional featured outter dials. But I think small digital cameras dosen't need manual fuction dials. why it need to adjust manual functions ? it is just a small digital camera. not anymore. Kindly, J10 contains too many stuffs. Just without optional battery, they provided carrying case and 2GB SD memory. See layout, it is just simple. it is what I needed. 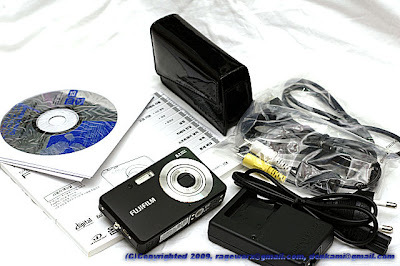 small digital camera just need a small body and light weight. that's all. Sometimes, people need something hardly to adjust manual functions on small digital cameras. I just say "Poor, why you want to do that on that small digital camera?" to them. 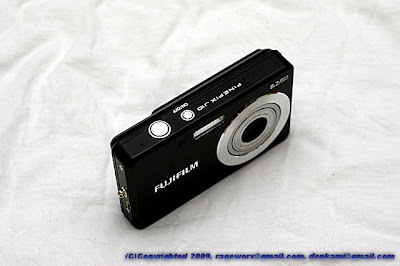 After used DSLR and film SLR, I've decided small digital camera is just for taking picture and don't matter image quality. Think, very small sensor and small lenses, how I hope for quality as DSLR? never, forget it. Anyway, I just accepted one function. to adjust picture ratio to 3:2 like DSLR. Sensor size was fixed as 4:3, but manually change ratio to 3:2 like DSLR. I like it. I don't like 4:3 like Olympus DSLR. it really sucking me! And Control panel at right of LCD. some digital cameras hasn't control panel! they just have touch sensor on LCD. I think that is just a fool! Unstable! Small camera need light weight! That is what I needed for carrying always! I don't like only two. One is small battery capacity. 3.7V 810mAh is too small. maybe it only can taking picture about 1~2 hours. May strongly need optional battery for long time taking for more pictures. (So I bought 4 optional batteries as comaptibled replaceables.) and Two, there's no USB cover. If user have sweaty hand, it makes short if sweat flew into USB connector, and camera may damaged. Fortunly my hand not sweat too much but body always sweats. Need care about USB port. This camera supports SDHC. 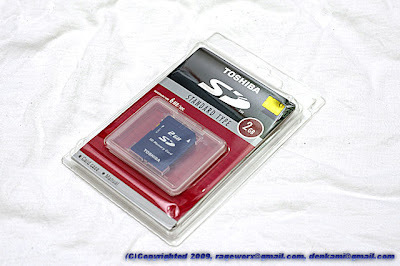 I have tested 16GB SDHC class6(Trandscend's) on it. Works well at 16GB SDHC. can taking pictures well and reads well. Maybe it not be fully takes movie with one battery with 16GB SDHC. 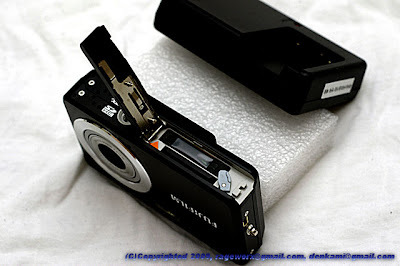 If I going to travel to somewhere, may I need about 4 to 6 spare batteries for taking pictures and movies. But I will carrying it with DSLR, not much batteries not be needed. - Very easy to taking picture. - Good to use , Good to carrying, Good to taking picture for a snap. - But no USB cover may making some trouble. - And I need more spare batteries to more pictures.